Each stop measures at 149mm high. 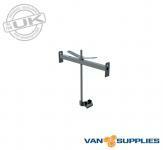 Only for use with Van Supplies roof bars. Load stops are an integral part of any van roof bar application and without them carrying any form of load or cargo should not be considered. The Van Supplies front load stops attach into the lower channels of the front aluminium roof bar and are tightened to your chosen location to allow secure carrying of ladders, boards or any other cargo without your load shifting. Featuring four lashing holes for attachment of load straps, bungee cords and ropes our front load stops are manufactured from mild steel and are fully zinc and powder coated to accommodate the most heavy duty treatment. 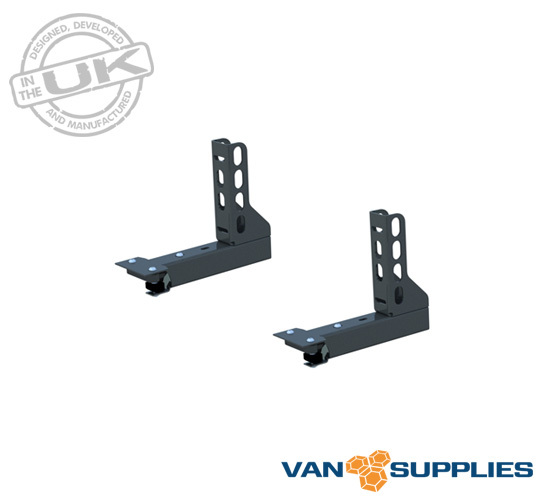 Supplied as a set of two the Van Supplies front load stops are the perfect accessory for use with our aluminium roof bar range.